Paul Broten (Born October 27, 1965 in Roseau, Minnesota) is a retired professional hockey player who played in 322 games in the NHL with the New York Rangers, Dallas Stars, and St. Louis Blues. He shoots right handed and played right wing. 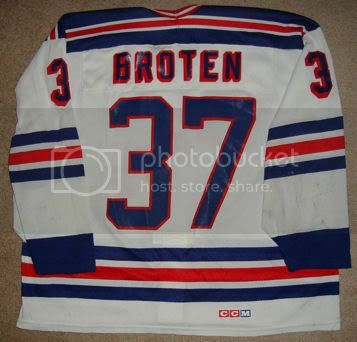 Broten was picked by the New York Rangers in the 4th round, 77th overall in the 1984 NHL Entry Draft. He then went to the University of Minnesota for 4 years, scoring 45 points in 42 games his senior year. During the 1989-1990 NHL season Broten made his debut with the Rangers. 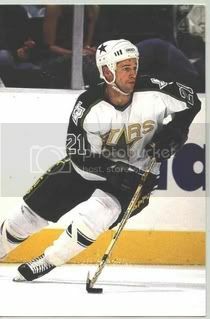 He would play for the Rangers until the 1993-1994 season when he joined the Dallas Stars. 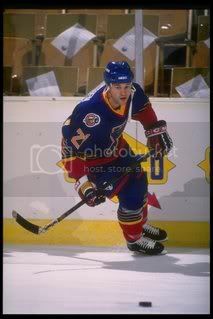 He played with the Stars for 2 years before playing one year with the Blues and their minor league affilate Worcester Ice Cats. 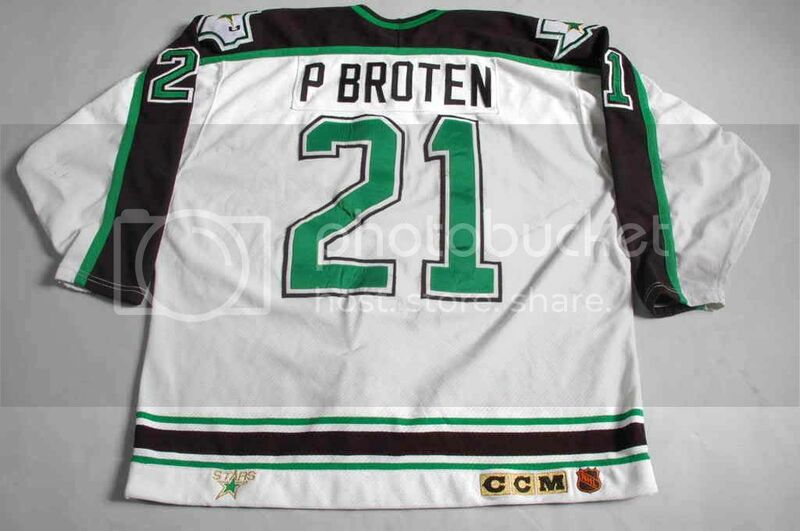 Broten then played in the now defunct IHL and one year in Germany before retiring after the 1998-1999 hockey season. Paul is the brother of fellow hockey players Neal and Aaron Broten. Although Paul Broten didn't have the same impact in the NHL as his brothers Neal and Aaron, he was a solid right-winger who worked tirelessly in the corners and as a penalty killer. He played over 300 games for three different clubs and his work ethic was often contagious. The native of Roseau, Minnesota was chosen 77th overall by the New York Rangers in 1984 after an outstanding year in high school. He opted to attend the University of Minnesota where he was an important two-way competitor for four seasons. 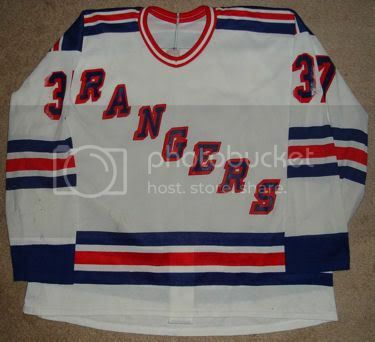 In 1988-89, he scored 28 goals as a rookie pro with the Denver Rangers of the IHL. 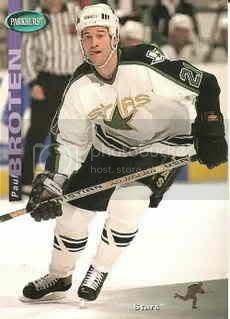 Broten split the next two years between the minors and the NHL before joining the Rangers as a regular in 1991-92. The robust winger's energetic play helped New York finish at the top of the NHL standings in 1992, but the club was eliminated in the second round of the playoffs. He continued to check well and kill penalties in 1992-93 but the Blueshirts regressed and missed the post-season. The Rangers opted to make changes and Broten was claimed on waivers by the Dallas Stars. His hard working style and responsible defensive play pleased coach Bob Gainey. 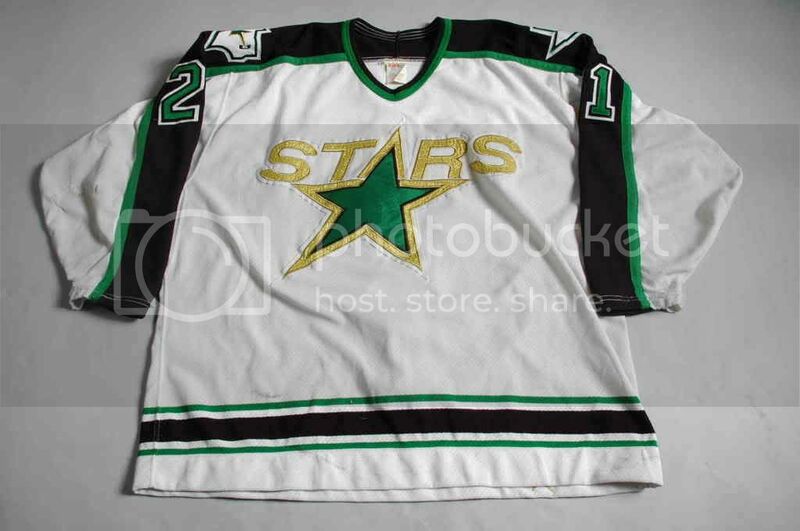 He was a regular for two seasons but the Stars elected to alter their roster when they were knocked out in the first round of the playoffs. 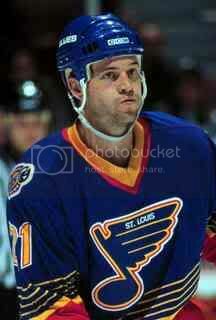 Broten was traded to the St. Louis Blues for veteran forward Guy Carbonneau on the eve of the 1995-96 season. He played only 17 games for the Blues and spent most of the next three years in the minors. Broten retired after playing the 1998-99 season with the Berlin Capitals in Germany.